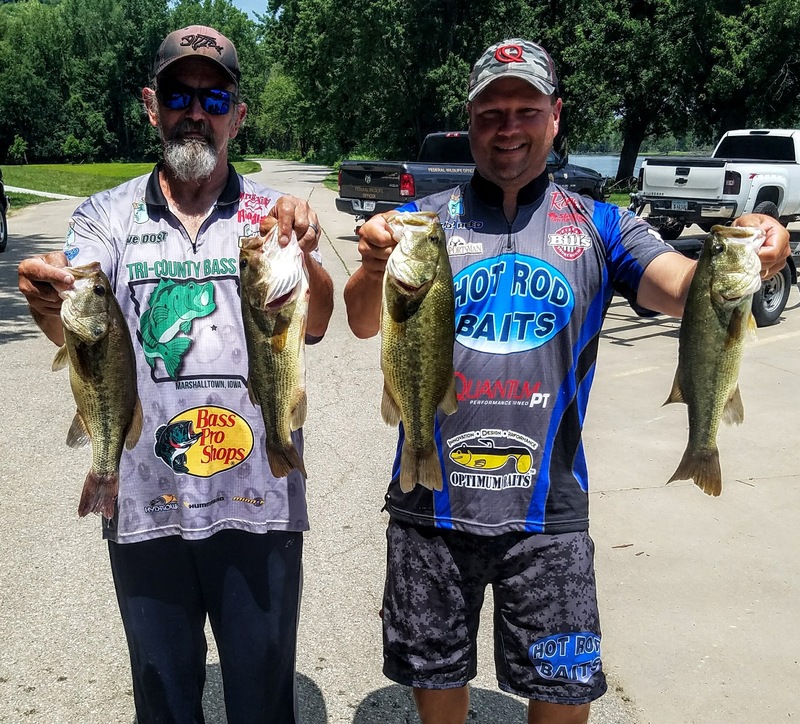 This past weekend the Tri-County Bass Club had a buddy tournament on Pool 10 of the Mississippi River. 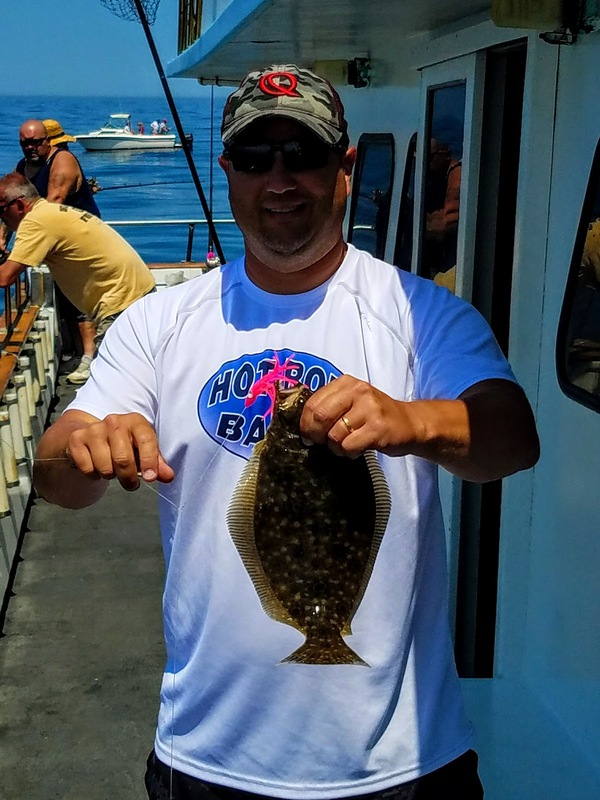 It is the only time during the year where you can pick your partner, so I teamed up with Dave Dost, a member that has never been able to fish a tournament in my boat. We were both looking forward to it, as the river was receding and the bass were biting. A few days before the tournament I was notified that my trolling motor was not going to be fixed on my Ranger boat. I quickly phoned Dave and he was all for using his bass boat. So off to Plan "B". I hooked up my river boat (14-ft flat bottom), loaded the QuantumPT rod/reels and headed up to Pool 9 on Friday to look around. 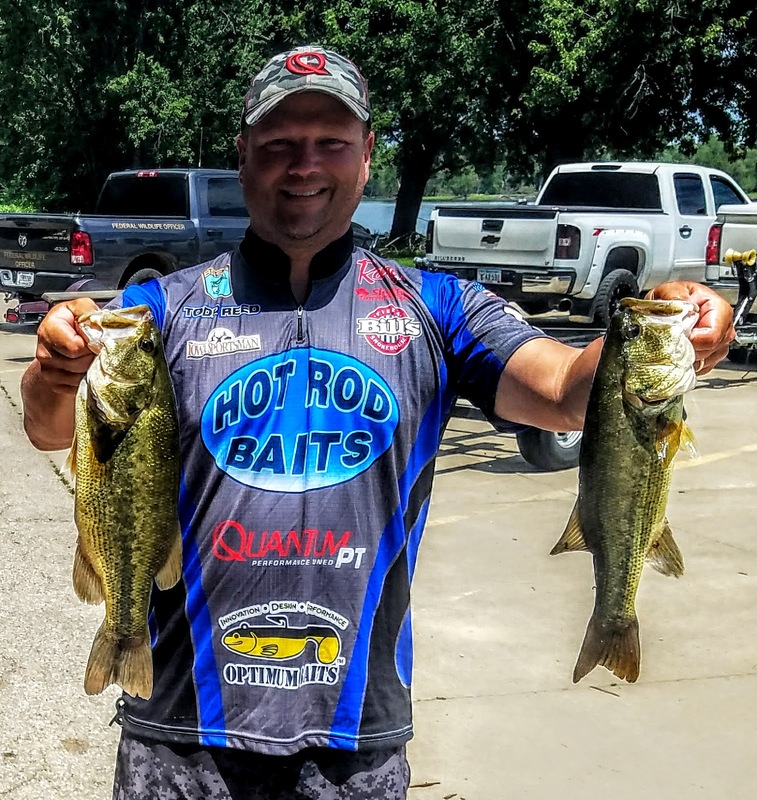 I have spent all of my time fishing Pool 9 this year, so it was a natural that I start there to look for our tournament fish. Pool 9 did not disappoint, numerous keepers in several different areas, some on rocks, some on weeds and some just relating to current. It was going to be a fun event, the bass were FEEDING! As I told Dave we would be locking in the morning to go up to Pool 9 he thought it was great, it was something he has never done before. Off to sleep for an early morning. We arrived towing Dave's boat to the boat ramp well before 5am. Here is where things really took a turn for the worse. The trim on Dave's boat was not working, so we couldn't get it off the trailer...disappointed for sure. On to Plan "C". We drive back to the motel and hook up my jonboat to fish for the day. The entire time driving back, which is only about 10 minutes I was thinking of any areas in Pool 10 that would be similar to the areas I caught fish on Pool 9. I came up with a few, but ultimately the bass would tell us what they wanted on this day. A common rule for river fishing, when in doubt, go to the current. The first few areas that is exactly what I did. Needless to say we were a bit limited with a 25HP motor and 14 foot boat, but we made it work. We kept our baits in the water and fish were coming in the boat. Dispite our late start, we had our 6-bass limit by 8am. Things were going well, and we just kept on fishing and upgrading our weight little by little. We ended the day with exactly 14 pounds. One keeper was on a spinnerbait, and the rest all came from Hot Rod Baits Tubes. It was a great day and we were in the lead after day 1. Day 2 rolls around and we went to our primary area, current and laydown logs were producers as well as points. The water level was dropping slightly and the bass were definitely relating to points on the outside of backwater areas. Today however, all the bass seemed to want was a slow bait. Hot Rod Baits tubes made all the difference once again, as well as a Wig's Jig and Chunk. It was a great 1-2 punch for these bass. We ended the day with 13.55 pounds and placed 2nd. All in all it was a great weekend, even though we had to go with Plan "C", who knows what would have happened if we would have locked to Pool 9, but the great two days of fishing on Pool 10, I won't lose any sleep over it. A family trip to Philadelphia was in order this summer, so naturally I just had to find a way to go fishing. My brother-in-law who has lived his entire life only 60 miles from the Atlantic made all the arrangements. The bite hadn't been good, as the ocean temperature was at 62 degrees, typically this time of year it is much closer to the the 70 degree mark. Either way, we headed as far east the the continent could take us and we arrived on the charter boat for the day looking to catch some Flounder. Cape May was the docking area, which offered numerous different fishing trips on the day. Tuna, Sea Bass, and Shark to name a few. The large boat could hold up to 50 fishermen, but today only about 20 boarded for the the day of fishing. The trip out to the fishing grounds lasted about 80 minutes, a long cruise on the ocean was really relaxing, but I really wanted to feel that tug on the end of the line. 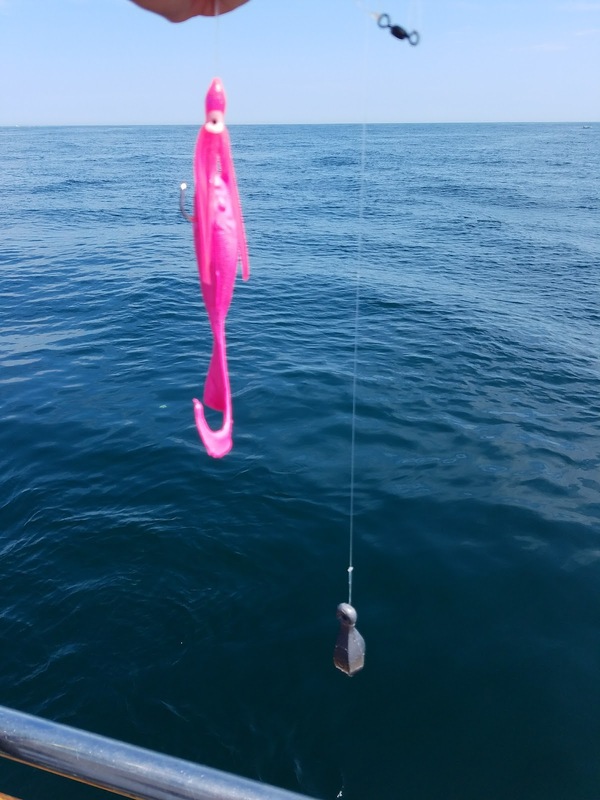 When we got there we dropped our drop-shots (8 ounce sinkers) down with chunks of squid or 6 inch Gulp baits. The very first drop for me, and that tug was there, I couldn't believe it! This was easy, the first drop and I already had a bite, and landed the first fish of the day for the boat. 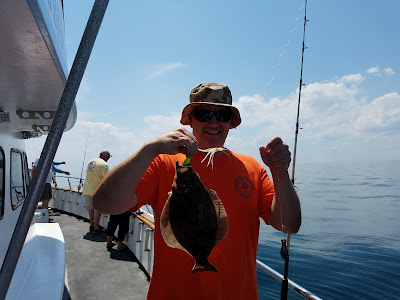 It was a Flounder, but ended up 17.5 inches and the limit on this species was 18 inches, so back to the blue waters it went. It wasn't that easy all day, but there was enough bites and others catching fish to make it interesting. Both Mike and I had a great time, even though I may have offered some of my breakfast to the ocean. 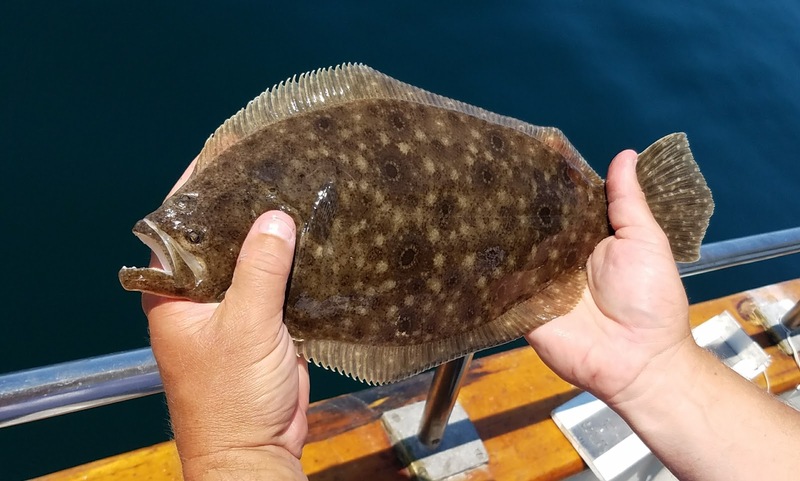 Several Flounders and a couple Spotted Ling filled our day. It was quite an interesting trip, especially the rod/reels we were using. Needless to say, they were no Quantum PTs, which is what I really missed about this trip, who knows how many fish we would have felt with some better equipment! A great trip, and hope to try it again sometime!